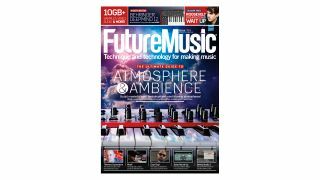 This issue of Future Music is all about atmosphere and ambience. 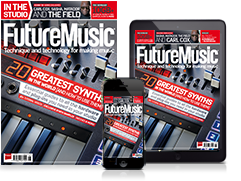 In this month’s cover feature we’ll show you how to add detailed backdrops and intricate textures to your tracks. We’ve guides to help you enrich your productions, whether you want to go ‘full Eno’ or simply add a touch of character to your next club floor-filler. Then, in the latest Producer’s Guide, we’ll show you how to capture the complex, evolving synth sound of Electronic Ambient icons like The Orb, Boards Of Canada and Aphex Twin. Destroyed Synths – Classic synth hits and loops, each crushed, overdriven and distorted out of all recognition for quality grittiness! Funk Keys – Funk-stuffed loops and lines that capture the synth, organ and key sounds of classic ’70s hits. Access the FM sample archive: – Download the ‘Archive’ packs and get over 8GB of loops, hits and instruments from our back catalogue of high-quality and royalty-free samples. From vintage synths and drum machines to esoteric instruments and FX – think of it as our best of. All the samples you need to create great music!